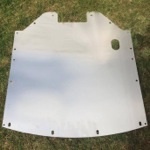 This blanking plate is designed for use on both OEM and aftermarket exhaust manifolds in order to block off the opening left when removing the Secondary Air Injection System typically when running a Decat. When installing the Essex Rotary blanking plate you will need to use the existing metal gasket and fasteners to hold it in place. We do not recommend the removal of the secondary air injection system if you are still running a catalytic converter. Removal of the secondary air injection system will usually cause the Check engine Light to illuminate this can be permanently turned off with our Stage 1 ECU Flash service. 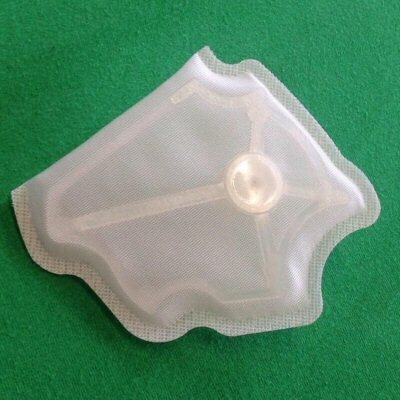 This brand new product is the first we have developed. Laser cut from 2mm thick Aluminium this under tray provides superior rigidity to the floor of your cars front end at high speed, and is a perfect upgrade if you have damaged your original. This tray simply slips in to place and retails all the original factory fastener locations. 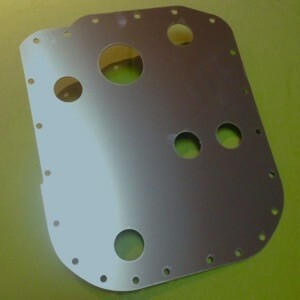 Lightweight and visually appealing this excellent under tray also features the hole for the stock radiators drain plug. 2mm thick for superior strength without adding significant weight. 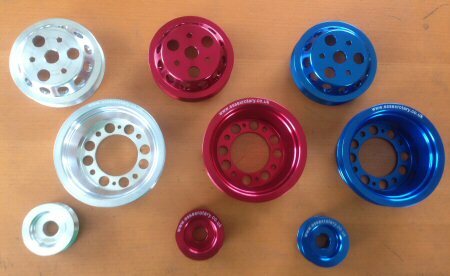 Superior front under tray rigidity at high speed. Now available to purchase and with a new low price (was £69.99) due to in house manufacture. Our eye lids are strong but extremely flexible. Made using high quality British fiberglass materials, and made right here as Essex Rotary HQ. These are made from high quality FRP with a white gelcoat finish. 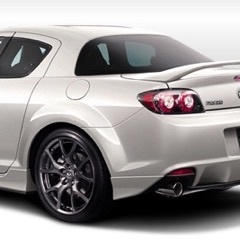 Please note this design will only fit the early model RX-8 made form 2003-2008 the later R3 version will be available soon. 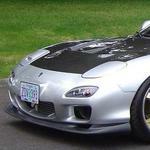 Essex Rotary are pleased to offer you our Type-MZ Rear Spats to fit your RX-8 R3. These are styles from the MZ-Customs Spats from Japan. 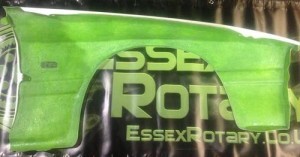 Made from high quality British fiberglass and manufactured here in the UK exclusively for Essex Rotary. The R3 with is facelift front bumper and side skirts has always lacked that "something" at the back end. This is where our rear spats come in. 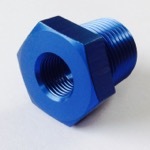 Simply to fit and with minimum (if any) modification to the part required. 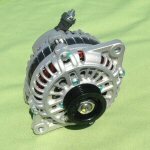 Essex Rotary Always Recommend test fitting by a professional prior to painting so that any adjustment (to fit to your likeing) can be made prior to paint. Made from fibreglass with a gelcoat finish prep should be simply in order to get them ready for paint. After nearly a year of development we are please to release the Essex Rotary upgraded tail light gaskets just in time for winter. 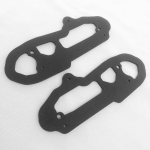 These gaskets are made from high quality neoprene instead of the the thin sponge of the Mazda OEM gaskets. The price for Mazda Original Gaskets are £34.28 EACH, the Essex Rotary Gaskets represent around a 50% saving over the Mazda Gaskets. After nearly a year of development we are please to release the the new Essex Rotary upgraded tail light gaskets for the R3 RX-8, we have reworked the original design to now make them suitable for the R3.. 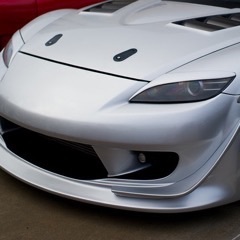 This Fibreglass rear license plate surround is designed to fit in the opening on the UK and european RX-8 Rear bumpers on the series 1 (2003-2008) allowing you to install an Import/Japanese size real numberplate. Made from high quality fibreglass and finished in black gelcoat this part is designed for easy installation. and to look great. Please note that for best results this part will require preparation and painting before install. 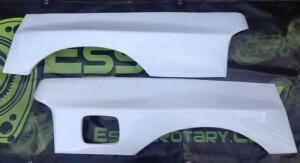 Essex Rotary Always recommend test fitting your part and adjusting the fit to your satisfaction prior to having your new FRP parts painted at a bodyshop. 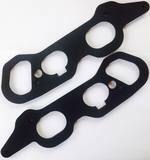 Normal Price £250.00 Add 50mm to each side of your RX-7 FC's rear end. Super deep dish wheels are not possible This is a brand new part to the UK and has never been available before brought to you by Essex Rotary. 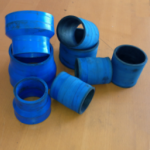 Up till now the largest available from a UK seller has been +30mm each side. 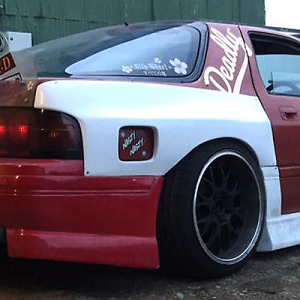 Our new Fibreglass Over Fenders add a massive 50mm extra to each side , giving your FC3s a wide aggressive look. These are made here in the UK for Essex Rotary using high quality British fibreglass and finished in flexible white gelcoat. with out signature Essex Rotary Green finish on the inside. Made to a high standard so fit to your car will not be a problem, saving you time, money and headache. No one like a bad fitting part. Thin But Strong Our new Super Wide Over Fenders are made thin enough to be flexible, this helps with fitting and conforming to the shape of your RX-7 while remaining thick enough to be strong. 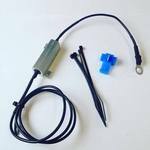 You will get 1 set (one left and one right) rear over fender, please note this kit does not include a fuel filler cap extension. 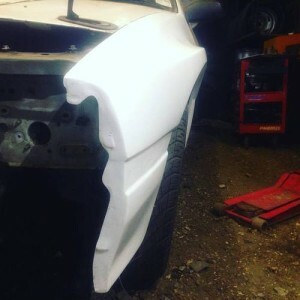 Essex Rotary recommend installation be carried out by a professional, Always test fit fibreglass parts and trim (if required) to your preference prior to painting. Add 50mm to each side of your RX-7 FC's front end. Super deep dish wheels are now possible. 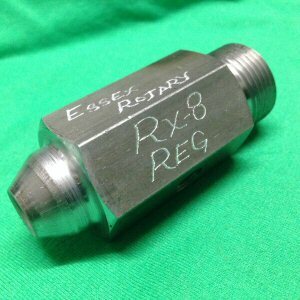 This is a brand new part to the UK and has never been available before brought to you by Essex Rotary. 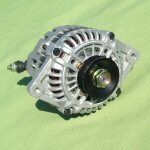 Up till now the largest available from a UK seller has been +30mm each side. Our new Fibreglass Over Fenders add a massive 50mm extra to each side , giving your FC3s a wide aggressive look. 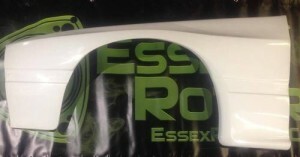 These are made here in the UK for Essex Rotary using high quality British fibreglass and finished in flexible white gelcoat, with out signature Essex Rotary Green finish on the inside. 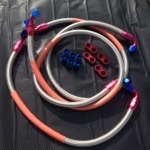 Made to a high standard so fit to your car will not be a problem, saving you time, money and headache. No one likes a bad fitting part. Our new Super Wide Over Fenders are made thin enough to be flexible, this helps with fitting and conforming to the shape of your RX-7 while remaining thick enough to be strong. You will get 1 set (one left and one right) front over fender. While DIY Installation is possible, Essex Rotary recommend installation be carried out by a professional, Always test fit fibreglass parts and trim (if required) to your preference prior to painting.